Recently I had the opportunity to visit the site that inspired L.M. Montgomery to write the classic Anne of Green Gables series. The setting for the books and the site is Prince Edward Island so I expected it to be quite lovely and it was. However, what I did not expect was the story of the author and her journey from writer to acclaimed and beloved author. I could not help but think there are lessons from her life that apply to all authors. So here are my observations about her and her work that can help us today. Many of these things may simply be a reminder, but it is always interesting to these points lived in the life of a successful author. She wrote what she knew. If you have read any of the Green Gables books, you will note the very vivid and imaginative descriptions of her surroundings. Now having been to her place of inspiration, I appreciate even more how she wrote what she was experiencing and seeing. That is a simple but important reminder for us. She practiced her craft. I knew about the books, but it wasn’t until the visit to the Green Gables site that I saw how many journals she kept. Many of them have now been published, but what struck me was she was constantly working to be a better writer. Her craft was important to her. She believed in her work even when others rejected it. 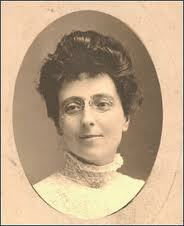 Like many successful authors, Lucy Maud Montgomery had to face rejection. In fact, four publishers rejected her manuscript before it was finally published. One interesting fact was the post office for the island was run from her grandparents home where she lived. So instead of having the rejection letters appear in public, she was able to grab them before anyone knew. Some think it was one of the reasons why she persevered and kept sending out the manuscript, but regardless, she did keep sending it because she believed in her story and her work. Take heart from that if you are doubting yourself. Believe in your work and press on. → “Free” is a fantasy when it comes to self publishing. ← Guardian in the UK launches new series on the best self-published books as nominated by readers. Thank you for the post Keith. Very motivational, and its helpful to be reminded that even so-called ‘famous’ authors work through rejection too. They persevere, keep heading towards their goal with conviction and determination. Many thanks indeed … write on! God Bless. Glad this was helpful. Believing in your work is one of the most important things for an author to remember. The Anne of Green Gables story of four rejections is the reason why so many of us do not bother with agents and so called big name publishers. I went directly to self publishing for my first novel which tells the story of the first early clan to capture and ride a horse.. I am so glad to hear self-publishing has worked out for you. Please keep me posted on the progress of your book.